We recommend that all of our clients get as much Personal Injury Protection (PIP) insurance as they can–it’s inexpensive, and it makes a huge difference in your Maryland auto accident case. PIP is a type of no-fault insurance. In exchange for a small premium, it pays medical expenses and a portion of lost wages for the driver, passenger and pedestrians who are in an accident. 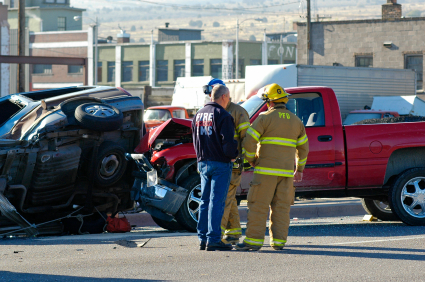 Because of Maryland’s collateral source rule, auto accident victims can recover for these medical expenses and lost wages twice–once through their own automobile insurance, and once from the negligent driver’s insurance. Most Maryland insurance policies are set for the default $2,500. That means the most any one person can recover is $2,500 for incurred lost wages and medical expenses. In exchange for slightly (barely perceptible) reduced premiums, drivers can waive PIP (there are very specific rules about the form of the waiver, and improper waivers are ineffective). In combination with medical payments coverage, Maryland policyholders can typically get PIP coverage up to $10,000. I just got my policy renewal, and I’m being charged $4.00 per month for $2,500, and $6.00 per month for an additional $7,500 in medical payments coverage. This means I’m paying a total of $10 per month for $10,000 in coverage. Not sure if it makes financial sense? Look at it this way: if you have high PIP premiums, let’s say $8.00 per month for $2,500 in coverage, you are paying $96.00 per year. If you have one accident in 26 years, the premium would pay for itself. How many of us are that lucky? If you want to learn more about personal injury protection insurance, visit our Personal Injury Protection webpage. If you need help dealing with your insurance company after a Maryland auto accident, contact us at 443.850.4426, or send us a message online.